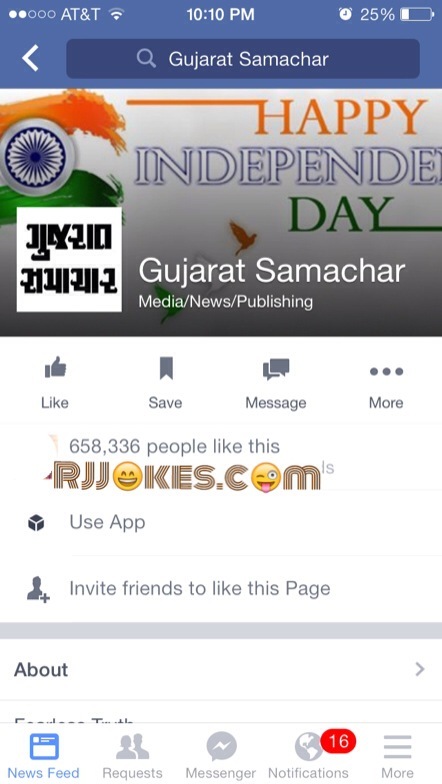 Home / Gujarati Jokes • Whatsapp jokes / Gujarat Samachar celebrating Independence Day today ! Gujarat samchar official facebook page update their cover photo with Happy Independence Day slogan on Republic Day ! Even after 10hr they didn’t take down this. At the time of writing this article it’s still there. There are over 2500 likes and 81 comments. It’s time to hire proffesional social media manager for Gujarat Samachar.